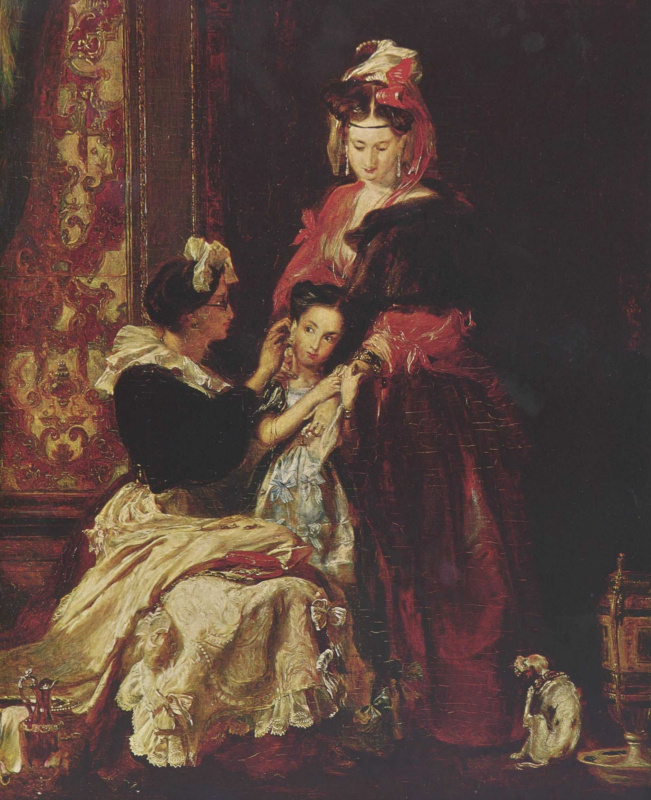 18.11.1785 — 01.06.1841 — sir David Wilkie (Wilki)/ Sir David Wilkie/ Scottish painter. From 1805 he studied at the Academy of arts in London, where he mainly worked. In 1814−1828 visited many European countries, in 1840, made a trip to the middle East. 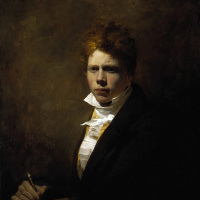 The largest Scottish genre painter, Wilkie. 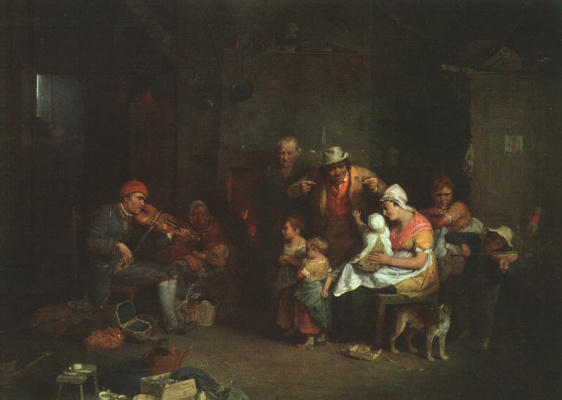 wrote well as paintings on historical subjects and portraits; his works (for example, "the Blind Fiddler", 1806, national gallery, London) different live the specificity of the characters and situations, the naturalness of composition and color. Scottish painter, known for the anecdotal style of his paintings. Inherited honesty and perseverance from his father, the burgomaster of his native County Cults. 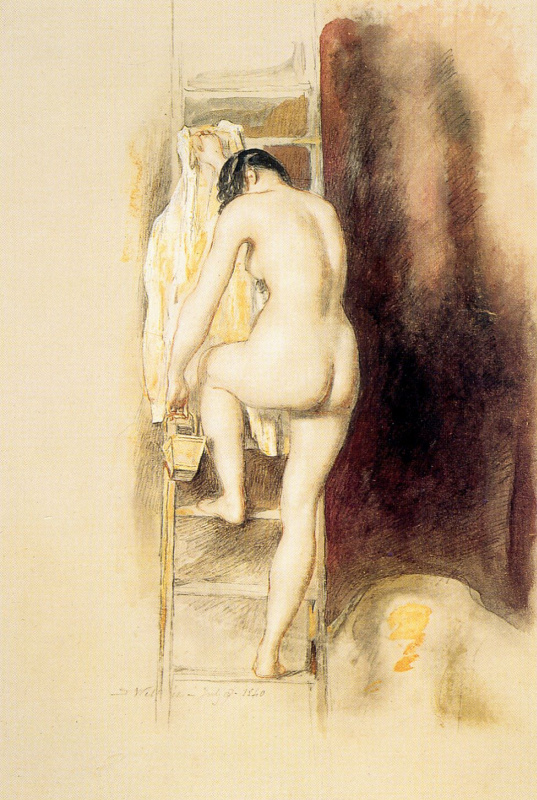 Wilkie showed an early penchant for mimicry, which was expressed in his drawings. They were made under the influence of a pastoral Comedy, Allan Ramsay poems "Gentle Shepherd" (1725), illustrated by David Allan in 1788. Wilkie cherished national spirit of this book and its illustrations throughout his life. 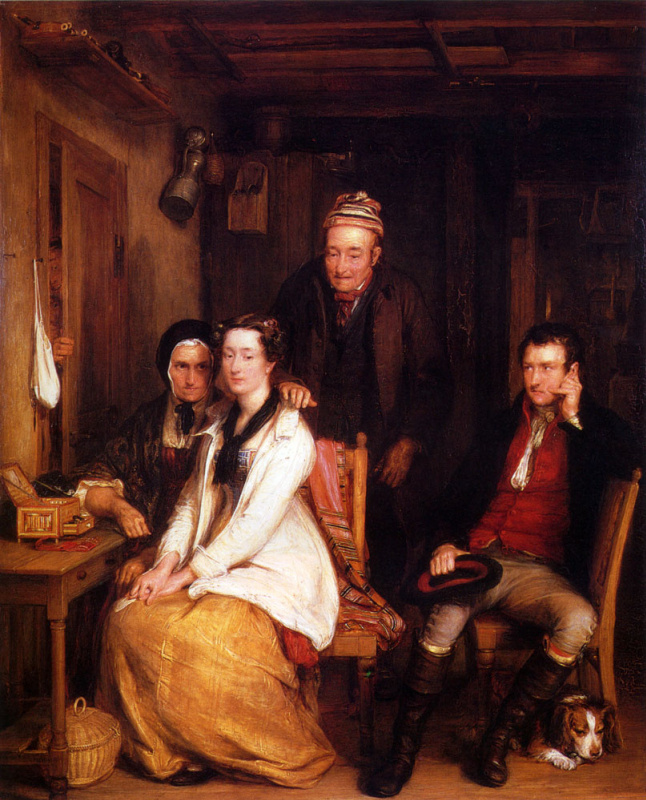 The author of living on the natural characteristics and composition of the paintings at the household ("the Blind Fiddler", 1806, national gallery, London) and historical themes and portraits. Education received in Edinburgh. From 1805 he studied in London at the Royal Academy of arts. With 1806, began to exhibit in 1811 was elected a Royal academician. His first major genre painting, "Fair" (1804), were executed in the Dutch manner, in imitation of David Teniers the Younger, and Adrian van Ostade. This formed the style that Wilkie was retained for the next 20 years. He drew pictures humble rural interiors and residents with shrewd observation and acute care. His paintings attained such success that when he participated in the exhibition of the Royal Academy in 1822, they were protected by barriers from the crowds of fans. The change in his style occurred from 1825 to 1828, when for reasons of health he visited Italy, Germany, Switzerland, and Spain. Particularly impressed by the Spanish painters Diego velázquez and bartolomé Esteban, Murillo, he began to use the broad brushwork and a bold use of color. This second manner has been criticized by many of his contemporaries. Wilkie was accompanied by sir Thomas Lawrence, as the court painter of the king in 1830, and in 1836 was knighted. In 1840 he visited the Holy Land to explore the nature of the Middle East, having designed a picture on a religious theme. He died returning home on the ship. His funeral is depicted in the painting of Turner’s "sea burial" (1841).